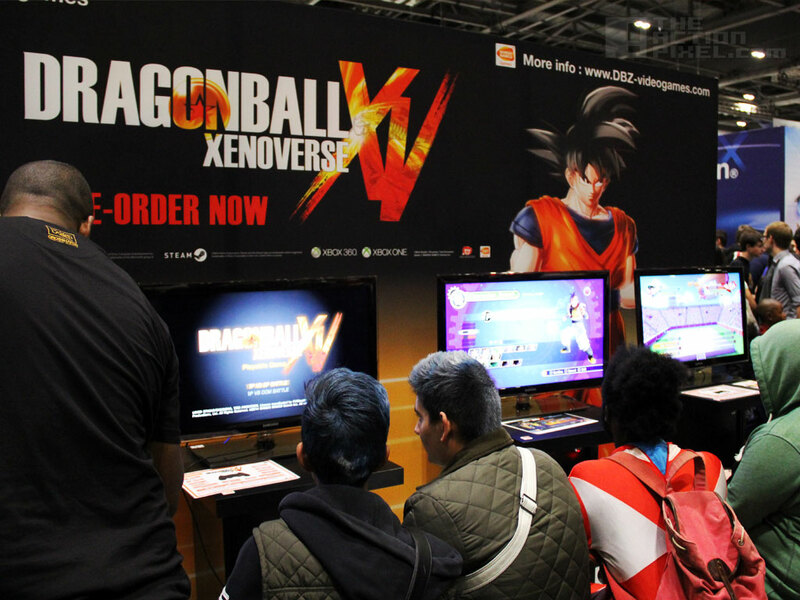 If you happened to be amongst the superheroes and villains at MCM London Comic Con 2014, you may have come across the Dragonball Xenoverse display, giving gamers one of the first tastes of the game. Boasting a 3D environment where the sky is the limit, with payable characters like Vegeta (Super Saiyan 4 even!) and Goku, it was certainly one of the game headliners for fans and gamers alike. The down side? It felt more arcade-worthy re: the animation and graphics, which is not what you would expect from modern beat ’em ups that have gone the way of the likes of Mortal Kombat. Also the environment can be a bit fiddly to traverse around in at times. Which is why Mortal Kombat X seems to have gone the way of the arcade-styled forward-back set up, minus the 3D-environment graphic cutscenes and interactive background elements. Nevertheless, Dragonball Xenoverse mainlined addictive gameplay into the vein and certainly made an impact on us. Able for pre-order now, the United States and Steam users can expect to get a pristine copy of the game on release in February 17, 2015. European players can snag a copy of DB:XV come February 13, 2015. Till then you can always get your DBZ fix by taking on the Battle Of Gods.